Welcome to Skill Records! 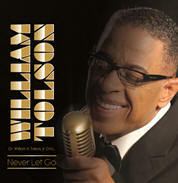 Skill Records is the independent label of songwriter, vocalist, and guitarist, William A. Tolson, Jr. William Tolson has a very extensive music biography. It is William's hope that through his music, spirits will be uplifted and his prayer that through his music the world will find Christ. Skill Records has two type of musical offerings: Instrumental and Choir albums.